Contractors and builders all are looking for the same thing—job orders. 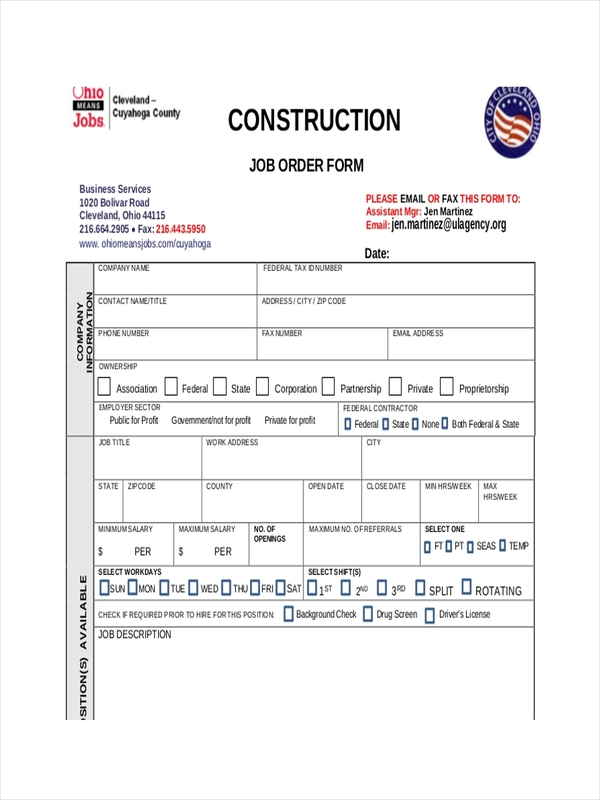 Job orders keep a contractor in business as they are the bread and butter for the company. 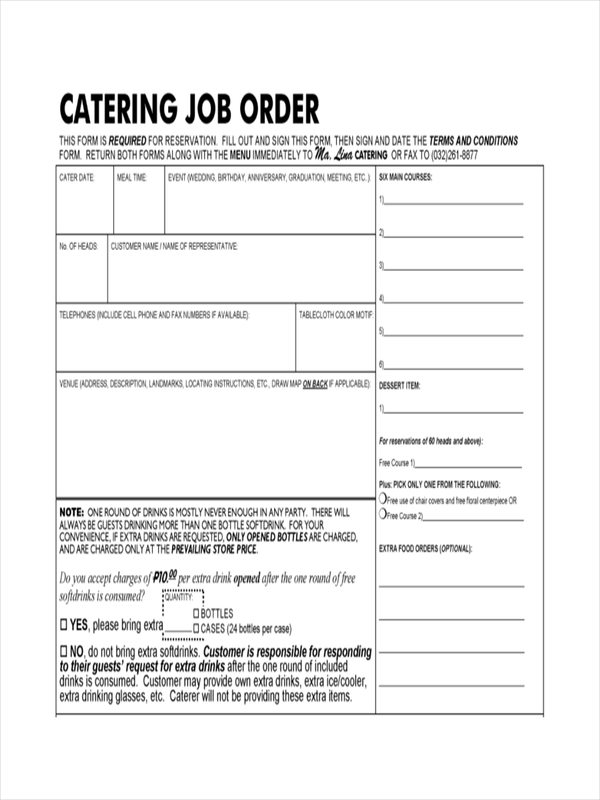 Job order examples found in the page can assist you in the making of your own job order. 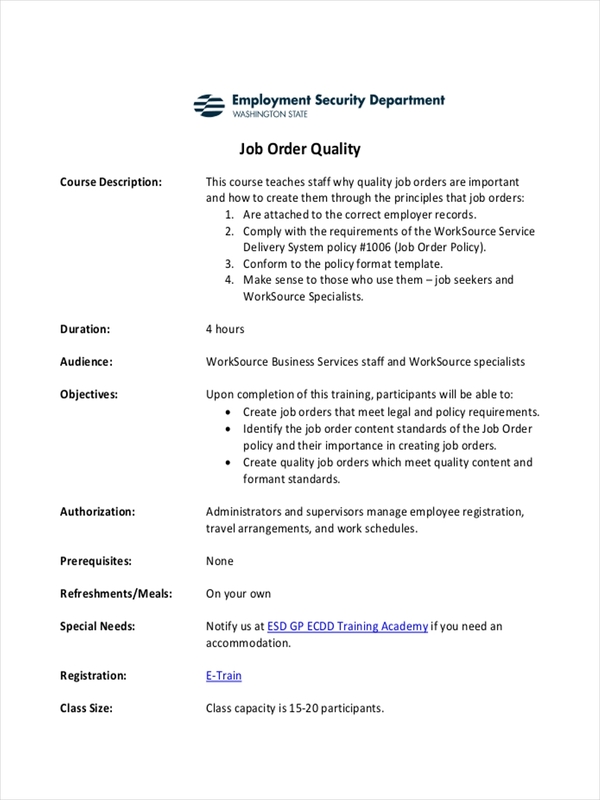 Examples of order templates can also be found in the page to further explain and help in the understanding of job orders. All of the examples are downloadable by clicking on the download link button beneath the sample. Just scroll down the page to view the samples and click on the individual files. Work order examples and order examples in excel exist in the page to give you examples of how a job order looks like and how they are made. Making a job order and successfully filling it are two different things. 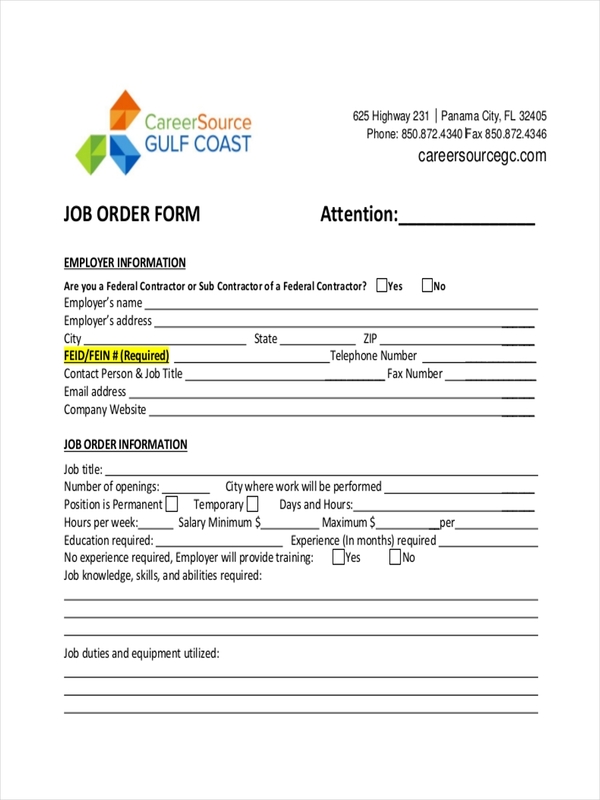 Here are a few pointers on how a job order has to be like to attract candidates. Good job title – Perhaps the most important part and the first thing seen is the job title. Use specific titles like Facilities Manager. Be sure to list in the city or state. Great job description – Create brief but compelling descriptions about the job and help the candidates picture themselves in the position. 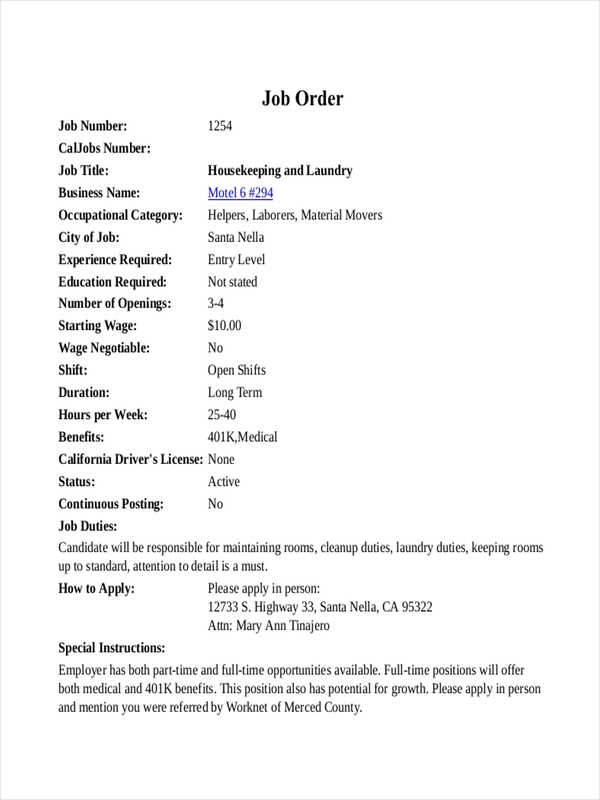 Applicant qualifications – Provide mandatory minimum requirements. Compensation and benefits – Always state the obvious, what is in it for the applicant. These examples illustrate how orders look like. Feel free to download them at no cost if you come across one that does the job for you. 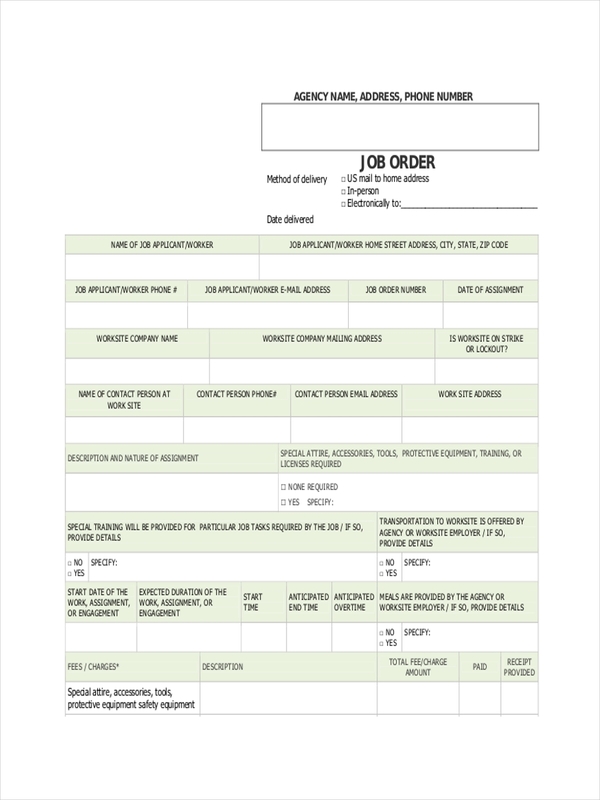 A job order is simply a form requiring or looking for an individual to fill in a job. A job order helps a company or business in cost estimation for a job and in attracting good people for the job. Job title – The job title must be appealing to the applicant. It must be particular and not too broad. This will be the first thing that will be seen and read. Company details – Job seekers want to know what kind of company they are getting into. A few sentences describing the company, the salary information, and information regarding the recruiter. 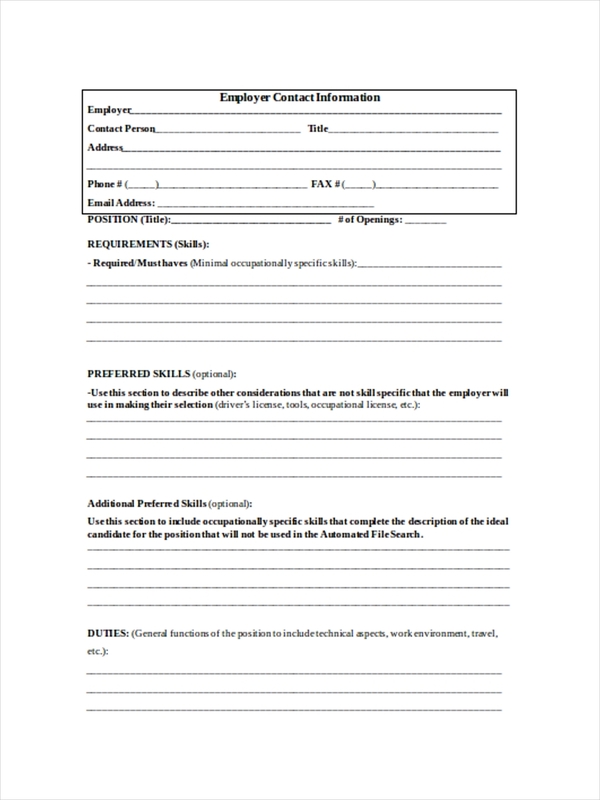 Job requirements – A minimum mandatory requirement must present that qualifies an applicant almost always immediately. Benefits – Showcasing benefits is also a good way to reel in potential candidates. 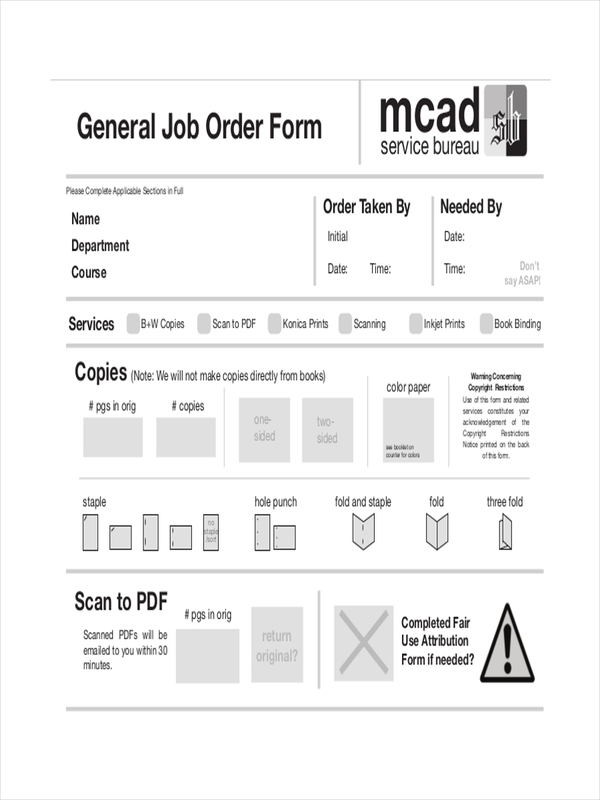 Service order example and free order examples on the page further explains how a job order is made. The examples are ready to be downloaded and can be done so by clicking on the download link button below the sample. Transfer order example and event order examples are further shown to aid in the description of such order examples.